Keeping track of your macros on a keto (ketogenic) diet can be confusing. However, understanding what you are trying to accomplish and having a clearly mapped out plan to work to can provide clarity. There are several online programs that you can use to track your macros on a keto diet. These are great however many work with percentages and are not so accurate. Using an OKL chart can provide the precision required to track your macros in detail. An OKL chart is a brilliant tool that can help you reach your goals in record time by using a concrete, proven system. What is an OKL chart? Why would you want to use an OKL Chart? How to use the OKL Chart? How does the OKL Chart stack up against other keto calculators? How do the Keto Calculators work? Why would you prefer the OKL Chart? Macros is short for “macronutrients”. These are essential nutrients in food that are required in large amounts in our diet. These macronutrients are broken down into fats, proteins and carbohydrates. To ensure that your body is kept in balance and continues to burn fat as fuel these macros need to be carefully monitored. The most reliable way to keep your body in a state of ketosis (fat burning mode) while ensuring optimal nutrition, is to measure your macros by weight. The OKL Chart is offered as a free, evidence-based guide to gain optimal body performance through the ketogenic diet. Back in 2015, a man by the name of Raymund Edwards invented the OKL Chart for his Facebook Group “Optimal Ketogenic Living”. OKL stands for Optimal Ketogenic Living. Raymund’s Facebook group is still going strong and currently has over 50 thousand members. 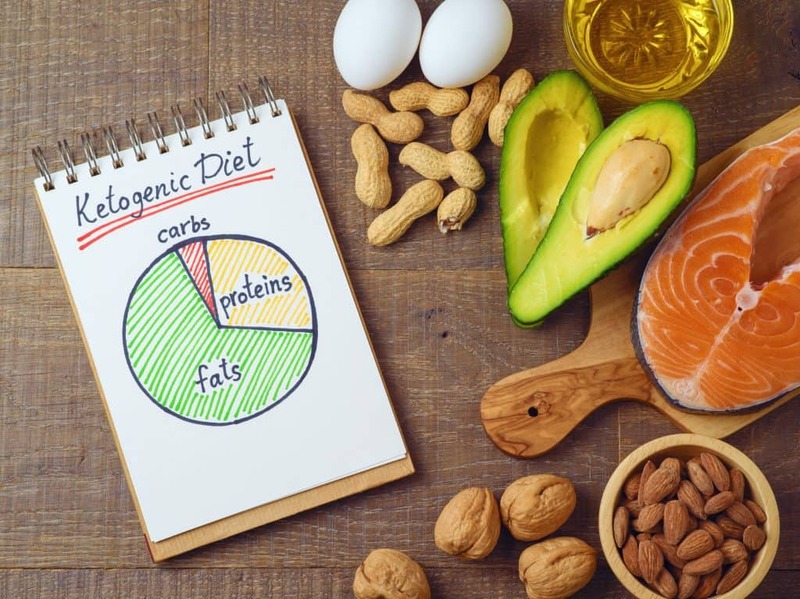 Optimal Ketogenic Living is a group dedicated to optimal health using the scientific research of Dr. Stephen Phinney, Chief Medical Officer and co-founder of Virta Health and Dr Jeff Volek of the Art and Science of Low Carb. Dr. Phinney invented the term “Nutritional Ketosis” and is also the creator of the Nutritional Ketosis movement. Nutritional Ketosis is a natural metabolic state when your body turns to burn fat as its fuel rather than using glucose. Glucose is the preferred fuel for our bodies. By reducing the carbs in your diet, you will force your body to use fat for fuel. This is particularly useful for those who want to lose weight. However, the OKL Chart is about more than just weight loss, as the name suggests. The chart is a much needed guide to achieving optimal health through ketogenic living. It is extremely precise and laid out in a clear and easy to follow manner. The chart is designed to take the guesswork out of eating a ketogenic diet by providing the exact amounts of protein, fat and carbs needed in grams. To ensure that you optimise your keto diet, having a charted plan is key. The OKL Chart can be used by beginners and it is free to distribute worldwide. The OKL Chart gives actionable ranges of food intake for weight loss, maintenance and muscle building. Therefore if you are looking to maintain your weight, lose weight or even build lean muscle, the OKL chart has a plan for you to follow. The chart is based on solid on-going scientific research on ketogenic and low carb nutrition. Therefore the newcomer has piece of mind that their diet is planned out by experts. The OKL Chart is split into two sections: Male and Female. Firstly, find the appropriate side of the chart, and then select your height in inches or cm. This is “your current row” that you read horizontally to find out the exact amount of daily carbs, protein and fat required. It is recommended that you always consume your daily protein requirement, no matter what your health goals are. The reason that the protein requirement stays the same is to protect your muscles from deteriorating. The amino acids in protein create and repair the cells of your body. Additionally, you burn more calories if you have more muscle mass. It is important to note that although there is no range of protein requirements on the OKL Chart, the amount stated is the minimum amount required in a day. The amount of carbs you need is set to a “net” (carbs minus fiber = net carbs) and should also be strictly adhered to. The OKL Chart balances out the reduction in carbs with the increase in protein. The carbohydrate amount stated on the OKL chart is the maximum amount of carbs for a day. Therefore if you were going to alter the amount, then the only way to go is down. A ketogenic diet emphasises the reduction of carbs to reduce the glucose in your body. The only thing that changes on the plan is your fat consumption. This is given in a range from low to high (rather than an exact figure). Depending on whether you want to lose weight, gain lean muscle or maintain your current weight. You will select a lower or higher amount of foods with dietary fats. To lose weight steer to the lower end of the recommended fat range. To maintain weight to the lower end of the recommended fat range. To gain lean muscle steer to the upper end of the recommended fat range. Everyone has individual requirements that vary from person to person. That is the reason that the “dietary fats” are given as a range. If you eat an amount of fat on the lower range of the spectrum, then you will force your body to use your own fat stores for fuel. There is an increasing array of Keto Calculators available on the market today. You can use them online or download a keto calculator app for your smartphone. The calculators are created to guide you in setting up macros in your diet. When looking through online keto forums, it is plain to see that all keto calculators are not made equally. Often people say that they get different results from each calculator. This can be confusing to say the least. Often the calculators are based on different diets, for example low-fat diets. So that could explain some of the fluctuation in results. Depending on the desired outcome, for example to lose weight or gain lean muscle, the advice will change. Often you need to know a lot about your desired macros before using the calculator because normally the results will not reduce carbs or be ketogenic, therefore, making the calculators hard to navigate. The calculators often assume that you know your body fat percentage. If this is not accurate then again the advice from the software will change. Additionally, they assume that you know the caloric deficit required to reach your goals, leaving a huge margin for error. The online and app-based calculators are basically software programs that use the information you provide to generate the macros required. This is often not accurate because one or more of the pieces of information are not inputted correctly. For example it has been proven that many men and women overestimate the amount and intensity of the exercise they do. Therefore this greatly alters the results that the calculator gives. One of the reasons the OKL Chart provides accurate information is because the focus is on overall health rather than just weight loss. Therefore you are faced with facts rather than being able to input a bunch of assumptions around your current health. The OKL Chart is way simpler to use because once you find your row in the chart you have the correct macros to work with. There is no fussing around with inputting (possibly inaccurate) personal data. Additionally, the OKL Chart offers ranges that you can work with as your body adapts to the changes in diet and activity levels. Unlike the keto calculators which can’t take these changes into consideration. The OKL Chart was developed using trusted information from leading Doctors in the field of low-carb ketogenic diets. It therefore provides the most accurate and straight forward resource.